What is the difference between etched and ground probes? Looking for something on the surplus market? Though this is not APTs' primary business, we do occasionally come across something that may be of interest to you. Manufactured by: MC Systems Features 4" system. 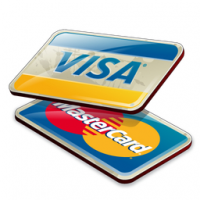 Minimum quantity for "Credit Card Portal" is 1. American Probe & Technologies manufactures custom products to meet your unique probing requirement. Contact us for details. Over the last 30 years, American Probe & Technologies' products have been distributed worldwide through most major OEM's. APT ships worldwide directly to most locations. Do you have an idea for your probing requirement? Contact APT to find out how we can make your idea a reality to meet your needs. American Probe & Technologies, Inc.